Subscribe by the 20th to get this month's box! 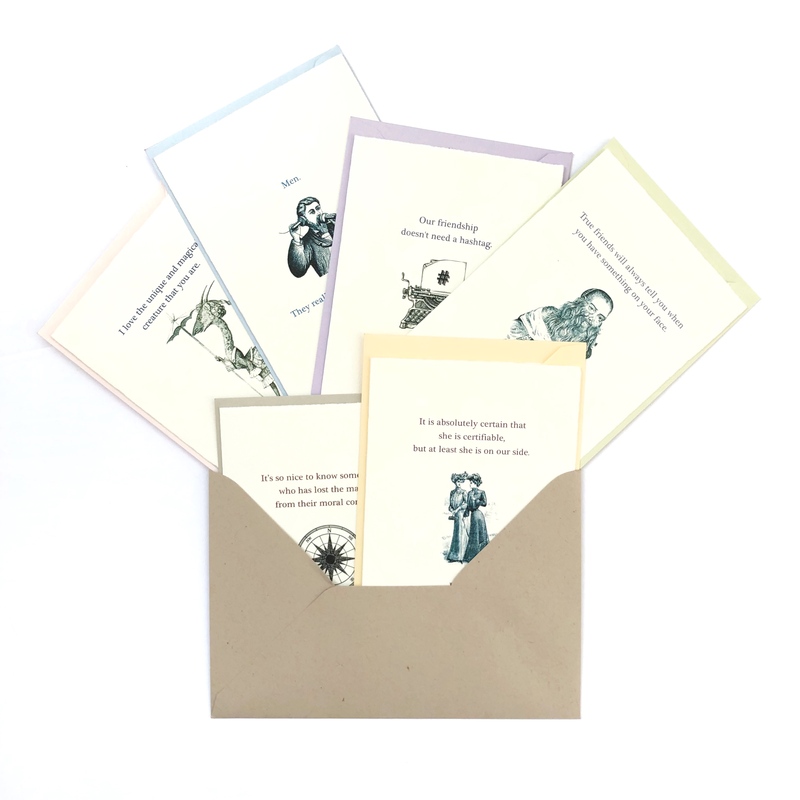 A collection of laugh-out-loud cards with vintage illustrations printed on luxurious Italian card stock. The Lily Branch collection include six different cards and FREE First Class shipping within the US. You must login before writing a review. We're always staying current with the latest updates & news. Follow us on our social channels for more!